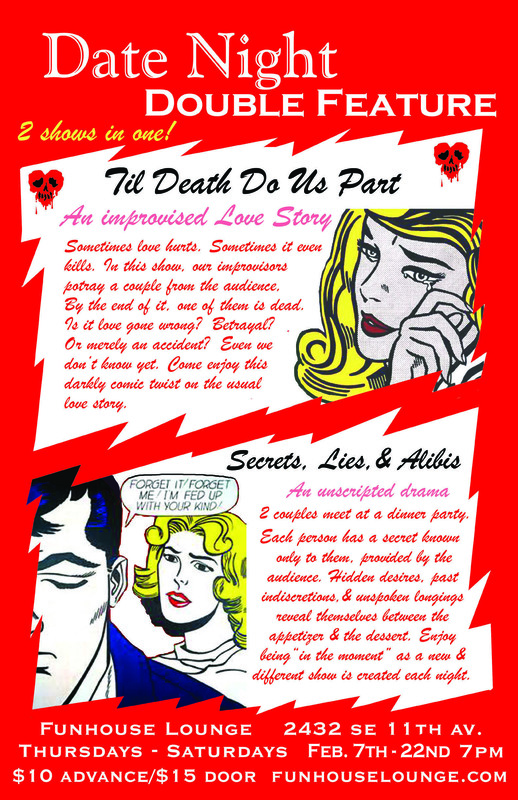 Date Night Double Feature-two shows in one just in time for VDay! 2 couples meet at a dinner party. Each person has a secret known only to them, provided by the audience. Hidden desires, past indiscretions & unspoken longings reveal themselves between the appetizer & the dessert. Enjoy being “in the moment” as a new & different show is created each night. Tickets are $10 online OR $15 cash at the door.